Didde Web Press Corporation, originally located in Emporia, KS, was a worldwide leader in the manufacture of narrow web offset presses, offering a broad array of printing solutions to business forms, direct mail, and commercial printers. Didde has manufactured more narrow web presses than any other company in the world during its 50 plus year history. In 1954, Carl W. Didde founded Didde Web Press Corporation as Didde-Glaser, Inc and introduced its first product, the Speed-Klect collator. Didde sold its 100 Speed-Klect by 1956 and that same year installed its first product outside of North America. The Company introduced its second and third products in 1960, the Gather-All and Tandemer and by 1964, 1,000 Gather-Alls and 200 Tandamers were sold. By 1981, an additional eleven products were introduced. Throughout the 1980s, 1990s, and 2000s, Didde rolled out several new product platforms, such as the Comperfector, Colortech, MVP, Apollo, 860, Excalibur, VIP, BIC, Viper, ML2000, and D1000. 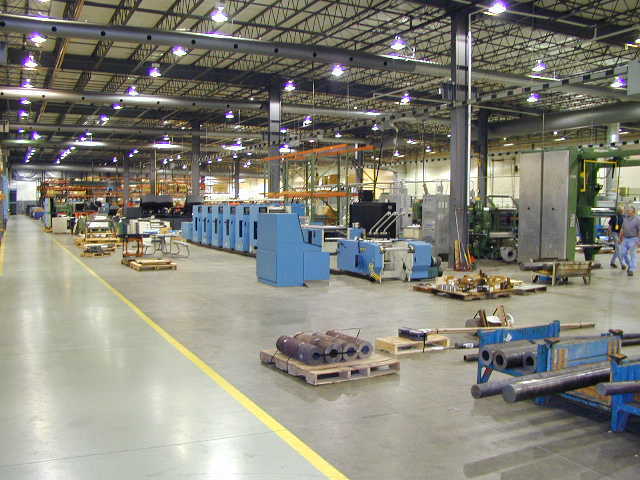 In 2001, Alcoa Packaging Machinery, Inc. purchased Didde Web Press Corp and moved the company to Englewood, CO. In 2004, American Industrial Partners (AIP) purchased certain assets of the Alcoa Inc. business known as Alcoa Packaging Equipment. The purchased assets include the manufacturing equipment and intellectual property related to the Didde Press product lines. In 2009, GSS (Graphic Systems Services) purchased the assets and intellectual property of the Didde Web Press business from Stolle Machinery Company. All the assets of the Didde Web Press were relocated to GSS headquarters located in Springboro, Ohio.